How and when do the Toddlers to their new home? (And burned baby update). Let me start by giving you an update on Benjamin, the baby who was set on fire by his father in March 2013 (read http://janinemaxwell.blogspot.com/2013_04_01_archive.html). Last week he had his colostomy reversed and is the happiest little boy when he celebrated his 2nd birthday with us on Wednesday, August 28th. 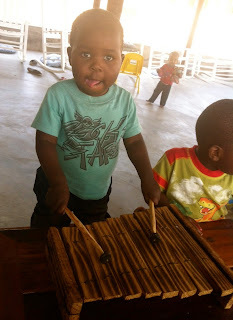 He is incredibly musical so I just "had to" buy this little zylophone at the local market and he played it like a pro. Happy Birthday Miracle Baby Benjamin! Back to the blog title, and let me say that is a really good question. In March 2013 the ground breaking ceremony happened for the Labakhetsiwe Toddler home and the race against time began in earnest. How fast could Mark and Peter’s construction team get this huge building built? Would we have to turn away a baby from the El Roi Baby home because we have no room before the new building was built? A new baby was arriving every second week and sometimes we would get two new babies in a day! The race really was on … and the team has done an amazing job (and still are)! The building is almost complete. The kitchen cabinets are in. Austin Klee has built all the cabinetry for the children and Caregiver bedrooms. 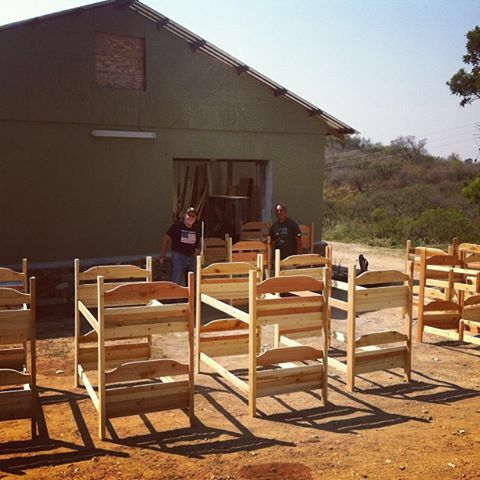 Jere Scott, Frank Tanaanu and Mark Hackett built 22 double bunk beds for the toddlers (from a design in Jere’s head) and outdoor benches for their little shoes. The plumbing is almost complete and the electricity works… and the babies continue to arrive over at El Roi. A few weeks ago we had to make a big “temporary” move. In order to take pressure off the El Roi home and staff we moved all our “tinies” up to Kuthula Place. The irony of that is the Kuthula Place was designed to be a “baby-free zone” where our Caregivers could go when they needed a break, a nap, a “time out” or a shower. Right now we have 13 babies under the age of six months where they are getting lots of individual attention by the Aunties who focus on our littlest ones. That left 25 “crawlers” and “walkers” living at El Roi, which was much more manageable. Next week is the big move (or that is the plan/hope). We will actually move all 25 babies from the El Roi home over to the new building (like a big road trip). We will move their cribs, clothes and whatever “stuff” will be needed for a week. It’s like they will all be going to camp. While they are away at camp we will empty the El Roi Baby home in to a container that is sitting outside the home (and is having shelves from Robert Smucker installed as I type this). Then we will do a deep clean at El Roi, have the building fumigated to get rid of a nasty cockroach problem and then do minor repairs and repaint the floors. When that is all complete we will move 14 “crawlers” back to El Roi and the 11 “walkers” will be stay in their new home, that was camp for the week. Then the “tinies” will move back home and El Roi will be home to 24 babies again. Simple eh? Kuthula Place will become a Place or Peace again and we will all have room to grow :). The first children to make the Labakhetsiwe their home will be: Gabriel, Rose, Benjamin, Emmanuel, Caleb, Miriam, Anna, Esther, Levi, David and Joshua. In the next few months we will move Andrew, Ishmael, Paul and Jeremiah as they become more sturdy on their feet. Once they can move around and cause chaos (i.e. steal a small baby’s bottle!) then it is time for them to move. For those of you who are worried about the double bunk, please don’t worry. The big kids who move to the toddler home will move in on the bottom bunk initially and won’t move up top until they are bigger and younger ones move over. We have a very busy week ahead with many visitors, volunteers and long-term volunteers (Amber and Kenny VanWinkle moving here!). While this is a long weekend in Swaziland we have much preparation to do and everyone is busy doing their part. We pray for peace, wisdom, PATIENCE, love and favor in the days ahead. I am happy to announce that Baby Emma arrived this week! She is 10-weeks old and weighs 3.4 KG (7.4 lbs). We are happy to have her home. Live from Swaziland … I am busy, tired and excited. On August 26th, 1933 Jere Scott was born in San Antonio, Texas. It was impossible for his father and mother think or know that when Jere turned 80-years old he would be celebrating on the top of a mountain in Swaziland, Africa. Why is he doing that? Because he is on Project Canaan designing and building the toddler bunk beds for the children who live at the El Roi Home for Abandoned babies. Jere is the best example that I can give of someone who wants to “finish well”. When he arrives at the Throne of God or “Pearly Gates” as some say, he wants to have given his all to the very end of his life, and that is just what he is doing. This blog is dedicated to Jere Scott and great example he is to all of us. Please keep reading, you will be inspired. The first 80 years that Jere has been alive have not been boring. 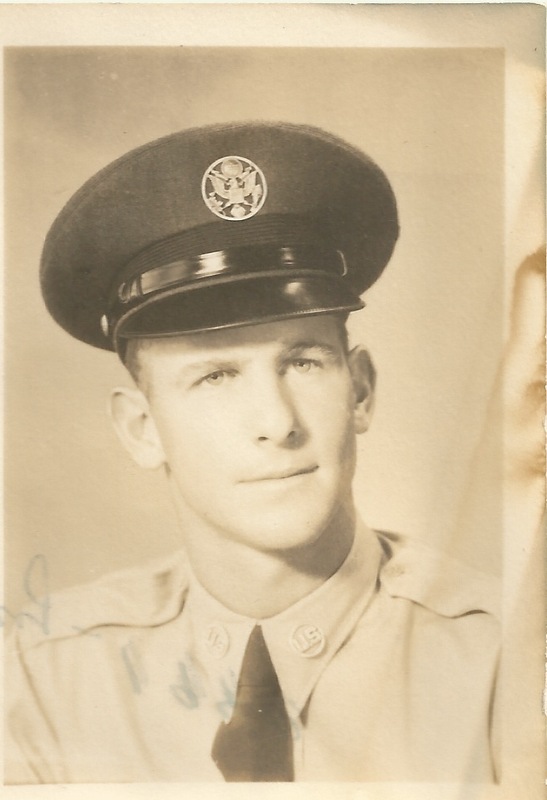 He served in the United States Air Force for many years and was in the Korean War as well as the Vietnam War. After that he spent 15 years in Japan as an Air Traffic Controller Instructor, which is where he learned to speak Japanese and gained his love for Asian Cuisine. Jere became a Pastor later in life spent 20 years building churches in Alaska with his wife Peggy. After tragically losing Peggy to Alzheimers Disease, Jere decided that he was not ready to be alone and joined eHarmony.com. That is where he met Janet in March 2004. Nine days after meeting Janet “on line”, Jere proposed marriage. Thirty days later Jere landed in Honolulu, Hawaii at 8:30AM to meet Janet face-to-face for the first time. At 4:30PM that same day, April 9, 2004, Jere and Janet Scott became husband and wife. In July 2005 Ian and I met Jere and Janet Scott at the Lugogo Sun Hotel in Swaziland. They had come with their church, First Presbyterian, in Hawaii on an 11-day Heart for Africa volunteer service trip. We became fast friends and since meeting them we have served together in Swaziland, Malawi and Kenya. They typically commit 6-8 weeks each year to come and serve alongside us, and their help has been invaluable. Oh, did I mention that Jere is diabetic, has lost the sight in his right eye, has had both knees replaced … TWICE!? 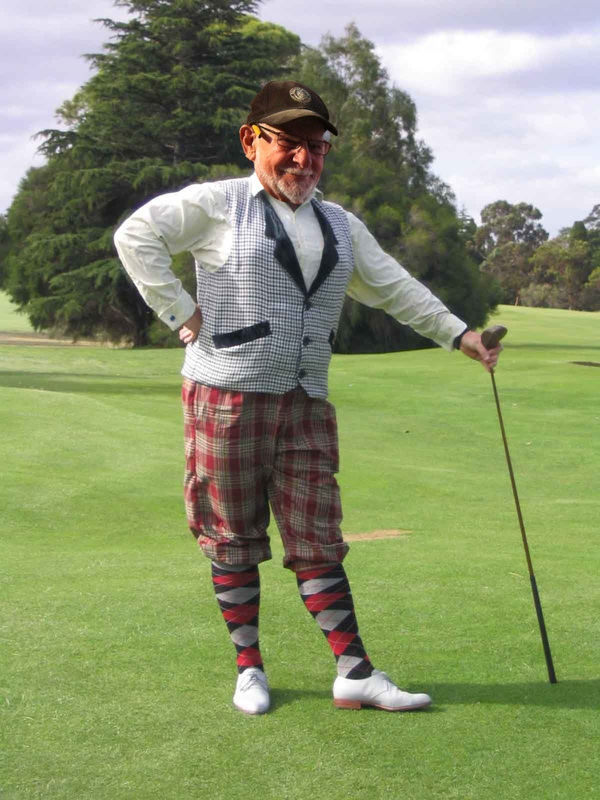 And, as you may have guessed, is turning 80-years old on Monday, August 26th, 2013. Why am I writing about Jere Scott today? Because he inspires me to “keep on keepin’ on” (as my friend Rose Smith says), even when times are hard and nothing seems to go right. Jere is on his knees (the new titanium ones) for our family and for Heart for Africa on a daily basis and we treasure his prayers and words of encouragement. Jere makes me want to give all I have to give for as long as the Lord allows me to serve Him. Jere has not retired, and he plans to do all he can with what he has been given until the moment he is taken on to heaven. May his actions inspire you to do the same. Tonight we are hosting Jere’s 80th birthday party on our patio with a few other friends who love the Scott’s as we do. We will have good food, many good laughs and hear a lot of stories as we listen to Hawaiian music under the African sky. Live from Swaziland … Happy 80th Birthday Jere Scott! We have a few photos tricks up our sleeve for Jere's party tonight. Live from where? It’s Saturday at what time? It was only 55 hours ago that I left Chloe at her new school, Morrison Academy, in Taichung, Taiwan. On Thursday afternoon “Taiwan time” I left Taichung expecting to arrive in Johannesburg, South Africa on Friday morning “South African time” (-6 hours from Taiwan. +6 hours from Georgia). I was honored to speak at the first chapel of the year at Morrison Academy and I gave a message that was hopefully in line with this year’s theme, which is “Journey to Joy”. From there I said my sad/happy goodbyes to Chloe, and then my friend Cynthia drove me to the High Speed Rail to get me to the airport in Taipei. Apparently a typhoon hit the Philippine Islands and Hong Kong was also getting hit hard, which meant that my flight was delayed. Long story short, I had a “time of rest” for 24 hours at the airport in Hong Kong, and 52 hours after my journey began, I arrived home in Swaziland with Ian meeting me at the airport. No sign of my luggage, but that’s okay. I am home. I haven’t slept in days and I don’t even know if I am jetlagged or on “normal time”. But I know that I am really tired. The past few weeks have been spiritually, emotionally and physically draining. I hope to sleep a lot in the next few days and then be refreshed and refueled to do what I am called to do next. I will say that I am so very proud of Chloe. 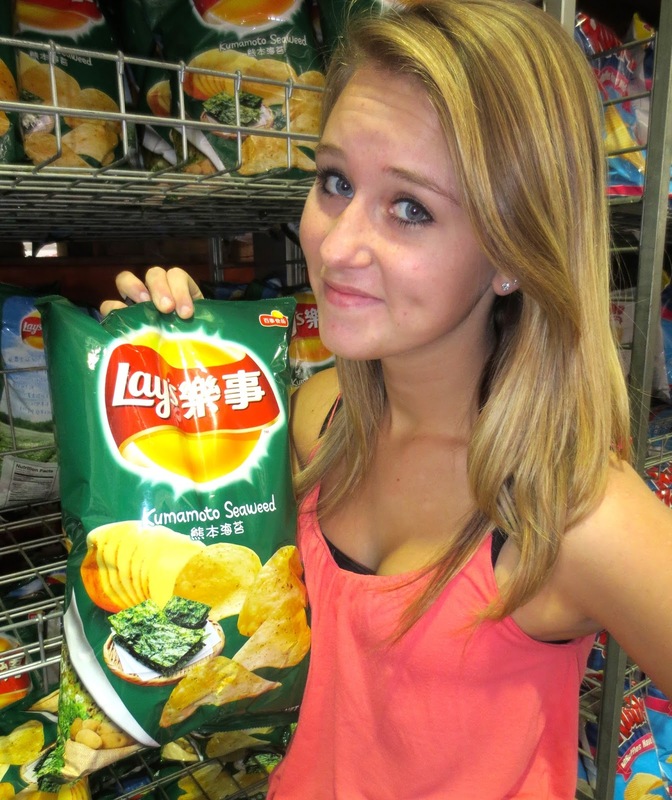 Imagine going from Canada to living in the US, then on to Swaziland and now Taiwan? We know that the Lords hand of protection is on her and we know that she is where she is supposed to be. 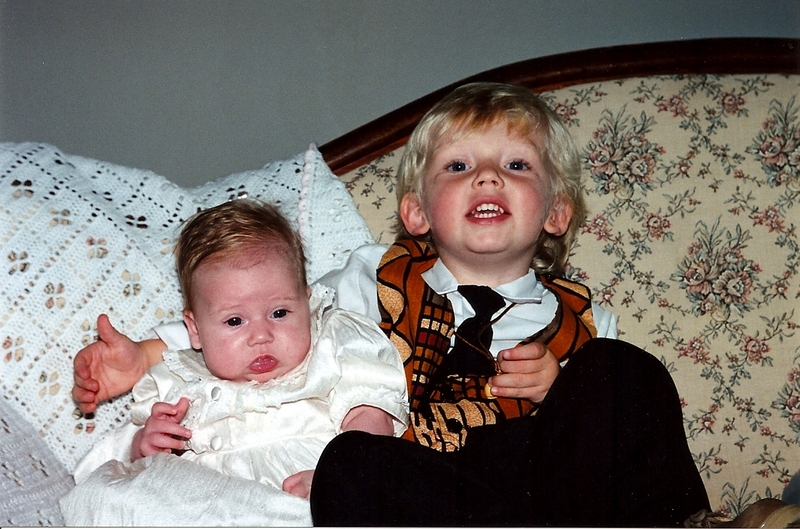 We miss Chloe and we miss Spencer and that won’t change, but we are so very proud of both of our children. They have courage that leaves me proud, and unbelievably speechless. Live from Swaziland (I think) … it’s Saturday evening ( I think). PS. A good news report that I must give is that Benjamin had his colostomy reversed this week and liquids are passing nicely. This weekend they will introduce solid foods and we hope he will be home with us permanently on Monday. Benjamin celebrates his second birthday this month and we all know that this little boy has faced more than many people will face in their whole lives. But El Roi , the God who Sees, has been with Benjamin at every step and I am thankful that HE has invited us to be a part of this little boys’ life. Thank you for your prayers and support for this special child in our lives. Why is Chloe going to school in Taiwan? That question is likely the most often asked question this year, so let me take this opportunity, while I am sitting in Taichung, Taiwan to give you the answer. When we moved from Canada to Alpharetta, Georgia Chloe was in 4th grade (or Grade 4 as we say in Canada). She attended Kings Ridge Christian School for the rest of her Primary School years until she graduated and moved to Milton High School for 9th grade. 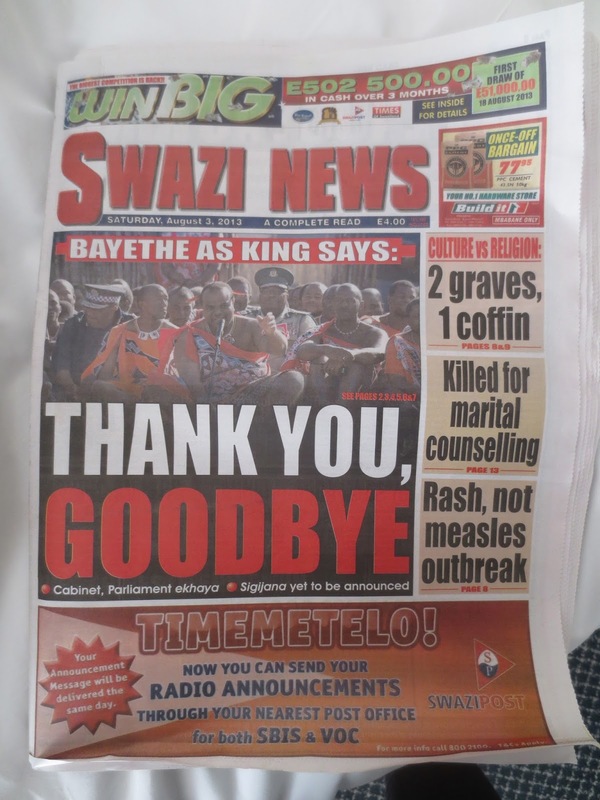 It was during that year that we decided to move to Swaziland, Africa at the end of May 2012. Spencer would have finished High School and would move on to Florida State University and Chloe would attend a private High School in Swaziland called Waterford Kamhlaba. Only five days after we landed at our new, almost finished home, at the top of a remote mountain in Swaziland, Chloe entered the middle of her 10th grade year (or Form 4 as we say in Swaziland). She would be required to cram a full year of school in to half a year, while adjusting to a new continent and way of life. The move was difficult, school was intense, internet communication was almost impossible and it was a bumpy landing for all of us (except for Spencer who moved to a new state in to his first apartment at the age of 18 – yes, you sense a touch of “Mother’s guilt”). Chloe was not happy. She had a 90 minute commute to and from school each day, had a huge workload, a totally new way of teaching/learning and was missing her friends back at “home”. Even knowing where “home” was, was a challenge. Ian and I would say that Canada was “home”, but both our children would say that Georgia was “home”. Now some of us lived in Swaziland and one in Florida. Where was home really? The first six months in Swaziland were really, really hard and we knew soon enough that Waterford was not the place for Chloe. But if not Waterford, where? I have no ability to teach Home School. We didn’t believe that Georgia (or the US) was right for her because we don’t have family there, and Canada seemed like a life-time away from where we were then. It was time to pray and pray fervently because it seemed like there was no solution, or not one that we could see. InOctober 2012 I had the privilege of being invited to Taiwan for the annual Walk For Water event hosted by my dear friend Lewis Lu. Lewis and his High School students host an International Youth Conference every year in Taiwan and for the past few years they have had a Walk-a-thon to raise money to help us at Heart for Africa Swaziland. We are so thankful for their continued involvement and support. During my visit in 2012 I was also invited to speak at a private school called the Morrison Academy (MA). I had been invited to speak there in 2011 through one of our past Heart for Africa trip volunteers named Cynthia Lim. Cynthia works at MA and arranged for me to share at their weekly Chapel Service and I was thrilled to be invited back again in 2012. When I got back to Swaziland I was telling Chloe and Ian about my trip. I love Taiwan and consider it a second (third? Fourth?) home. I was also telling them about this really cool school that I had spoken at (MA). Chloe looked at me and after a while said, “I think that is the school I am supposed to go to”. Ha. Not a chance. First of all, it is in TAIWAN, which just happens to be a MILLION miles in the opposite direction of where Spencer lives and both countries that we had moved from. Well, I didn’t need to pray about it. The thought was absurd AND besides, she wouldn't qualify for the school because it was designed for children of Missionaries who were serving in Taiwan and other parts of Asia, NOT AFRICA. 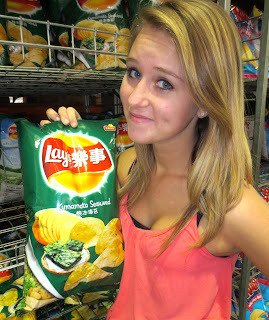 Seaweed flavored Lay's Potato Chips? But when your 16-year old reminds you to “ask God” what He thinks, rather than leaning on your own understanding (Proverbs 3:5-6) you kind of have to do it. And so we did. And that is the beginning and the end of the story. What seemed impossible became possible. Obstacles were easily overcome and Ian, Chloe and I all had total peace. After a visit to Taiwan (and Japan) in January we knew that Chloe was to finish up her High School in Taiwan and became increasingly excited about this new opportunity. Chloe’s application was accepted, we found a wonderful host family whom she will live with, she worked diligently to complete Geometry and World History on line to get ahead of the game before starting school and now she starts 11th Grade on Monday morning at Morrison Academy in Taichung, Taiwan. I am in awe of a God who sees everything and whose plans for us are beyond our wildest imagination. If Lewis Lu hadn’t come to serve in Swaziland, I never would have met Cynthia. If Cynthia had not invited me to speak at Morrison, Chloe would not be attending this new school. If Chloe had not attended Morrison Academy in TAIWAN for the last two years of her High School life, then … what? It is unfathomable to think of how the entire trajectory of her life has just changed. We thought that happened when she moved to Swaziland, but now what? Who knows? God knows. And for that we give thanks and rest in peace that His plans ARE in fact perfect. Live from Taiwan … it’s Saturday afternoon. Two dogs killed by Black Mambas, Swazi Government is dissolved, Nomsa is gone and Chloe is leaving. This week had highs and lows. The highs included getting a sweet 6-week old kitten from Spencer and Chloe. The lows included watching our dog Nala die from a Black Mamba bite. In between those highs and lows the Swazi Parliament was dissolved by His Majesty King Mswati III and my dear Nomsa has run away from the isolation ward at the TB Hospital. Here is more of each story. Last week our dog Twende (Doberman) gave birth to four puppies down on the farm. One died and birth and the rest settled in nicely to puppy life. Only a few short days later on Tuesday, Twende, was bitten by a snake. No one saw it happen, but they found her writhing in pain, foaming at the mouth, in full seizure and eventually death. We were able to move the little puppies up to The Lodge where a couple of our interns and longterm volunteers are feeding them every 90 minutes by bottle. The very next day, Chloe and I were in town and she told me she and Spencer wanted to buy me a kitten for my 50th birthday (coming up in November) and so we went to the “Swazi SPCA” and brought home a sweet, tiny kitten named “Francisco” (for all ELF fans). An hour after we got home we saw our dogs knock down the gate of their pen in order to chase a huge bull that had strayed up to the area between our house and the Lodge. Our dogs (Max, the BIG Doberman, Nala, the Boerbull, and Jack, the Jack Russell Terrier) chased the bull down the hill all the way to the farm with Chloe chasing on the ATV (4-wheeler). Somewhere between the farm and home we believe Nala was bitten by a snake, likely a Black Mamba. The next six hours were hours that I never want to relive again. Chloe and I, along with Peter, Denis, Danny, Jere and Janet, watched Nala go through extreme seizures, bowel eruption, projectile vomiting, paralysis, loss of breath and finally death in our garage. It was a horrific ordeal and there was nothing we could do (other than pour milk and charcoal down her throat to try to remove the poison). We were told when we moved here that we will need to have lots of dogs and keep them breeding because we will lose lots of dogs to snakes. Well, the people were right. We lost two dogs/family members in 24 hours. I am thankful for Francisco and the PERFECT timing is his arrival. God’s timing is always perfect. Speaking of timing, its election time here in Swaziland. On Friday His Majesty called a gathering of the nation called “Sibaya” and announced that according to the Constitution the election process is officially beginning. I won’t claim to understand all or even most of the process, but here is the gist of my understanding. On Friday the Prime Minister, Deputy Prime Minister and all the Government Ministers stepped down from office and His Majesty King Mswatii III dissolved the Parliament. This allows the people who want to run for office to do so without being employed by the government at the same time. Nominations for Parliament started yesterday and will continue through tomorrow morning. The nominees will be named tomorrow or Monday and are not allowed to campaign at all up until the Primary elections are over on August 24th. All “campaigning” is done by “others”, but not by the person running for office. Then, once the Primary’s are complete the election campaigns begin in earnest and the final election takes place on September 20th. My understanding is that there will be 56 members of Parliament elected and then 10-12 more appointed by His Majesty to make up the Parliament. The Cabinet is appointed by His Majesty from Members of Parliament. The Prime Minister and Deputy Prime Minister are also both appointed by His Majesty. There are two people who are still fulfilling their positions. The first is Prince Guduza (our next door neighbor and Speaker of the House of Parliament) and second is the President of the Cabinet. We are told in the newspaper that His Majesty will appoint a “committee” of people to run the country during the next two months during this election period. We are praying for this nation and all who are living and serving here. In other important Swazi news, Nomsa was told that she would be moving in to isolation and starting treatment for XDR-TB last Friday. She got a weeklong pass to go home and think things through. She went to the hospital on Friday, but when they moved her in to her isolation room I guess she panicked. She left the hospital at 6PM last night and has not been seen since. We are praying for Nomsa, and all who are living and dying with TB, MDR-TB and XDR-TB. On a personal note, our daughter Chloe will be leaving for school in Taiwan on Tuesday, only three short days away. In addition to the other things that have happened this week it has been a time of reflection, sorting, packing, planning and many tears … tears of joy and tears of sorrow. We are praying for Chloe, for her new school, friends and the family whom she will be living with. Next weeks blog will be dedicated to Chloe and my thoughts around my baby moving to Taiwan. Live from Swaziland … we are praying.